Since the18th May I have managed to pack in loads of climbing. 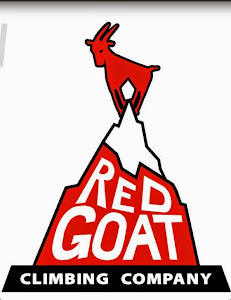 I have ticked a total of 123 routes and boulder problems and only had 2 days without climbing anything outdoors, although one of these days I went to Red Goat climbing wall in York. It is needless to say that I don't have much skin left. I have been to nearly 30 different crags in this time too. It would be a very long blog post if I described everything I did, so here is a summary. The interesting part of my recent climbing, and the posts name, starts on the 25th May. Here I set off road tripping with Matt Harle and Sophia Borgeest. Our desitnation for the evening was Arran but we decided to stop off at Dumbarton rock on the way past. After Dumbarton, and on the way to Arran, we climbed on a cool little erratic boulder in the corner of a field called the Clochoderick Stone. Arran saw me head off on a solo trip up to the Rosa Slabs where I climbed Blank (VS) and Blankist (HVS). The plan after Arran was to road trip for a while, with Anne Peale as well, but unfortunately the weather wasn't looking very good up north, so we went to the county. Kyloe In seemed like the best bet and we had a nice day climbing around the steep crimpy sandstone walls. Matt and Sophia had to be in Edinburgh on Wednesday so Anne and I set off up North together. We were headed for Reiff but stopped off at Creag Dubh on the way past and climbed a nice HVS called Inbred. At Reiff we met up with some others from Edinburgh Uni. On Wednesday John De Lyser, Alistair Rocke, Katie Main, Anne Peale and I made the long walk into the leaning block cliff at the North of the peninsula. Here I onsighted The Quickening (E5) and Freedom (E4), among others. They both felt very easy, so I may have been having a good day. The Quickening is my first E5 onsight, and first E5 clean (I don't think I have even top roped one). It takes a traversing line of massive buckets with good foot holds along a steep face and onto a slab. The next day we all went to the seal song area at Reiff. I managed to climb the route Seal Song (E3) which gives the area its name. I thought this felt much harder than The Quickening. On Friday Anne and I went out East in preparation for the EUMC's Dinner Meet in Dornoch on Saturday. We went to Cummingston and Huntleys Cave. On Sunday Matt Harle, Sophia Borgeest, Anne Peale and I went to Sheigra to climb its famous steep sea cliffs. On Monday, after a morning at Sheigra we made our way south, climbing at Ardmair Crag on the way past. We spent that evening in Gairloch, climbing at Aztec Tower and Grass Crag the day after. The rest of the week was spent in Torridon, although I made a short trip to Helmsdale to do some work. This trip has not only taken me around a large number of amazing locations, and featured some amazing sunsets, but the geology has also been very interesting. I have climbed rocks from the Dalradian, Lewisian, Torridonian and the Cambro-Ordovician within the past 11 days. Im not sure if I climbed on anything that was from the Moines though. This is possibly the best way to cement my knowledge of Scottish stratigraphy possible. I have even climbed within all the terranes of the Lewisian, those being; Richonoich, Assynt, Gruinard and Southern. I'm having a rest for a few days now before I head to Pabbay on Wednesday! Like it Hot, Problem 37 and The Quickening are all personal best onsights for me!